Damaged antique oil painting in need of professional restoration to fix tears in the canvas. 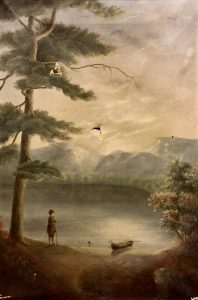 In recent years, Michael has also become passionate about rescuing antique paintings that have been damaged or are no longer wanted by their owners, and has several works that need restoration to fix small tears in the canvas or minor paint loss. His goal is to one day have them restored to their original condition and to preserve their beauty so they can be displayed for years to come. 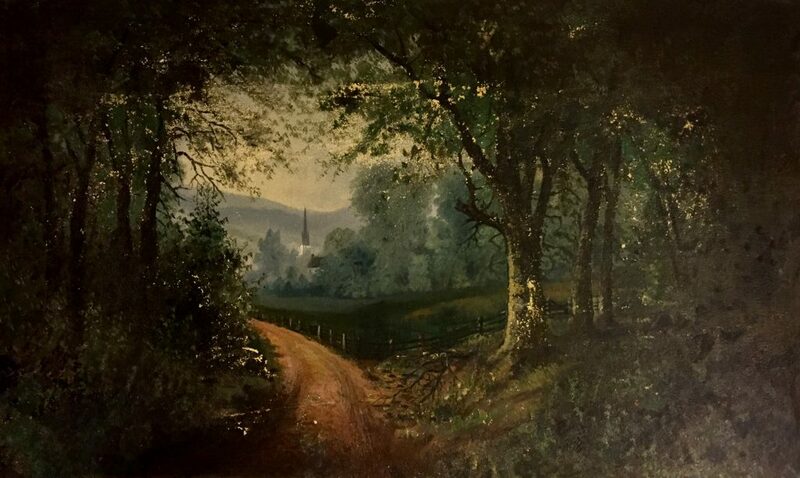 Antique oil painting of landscape in need of professional restoration to fix spots where paint has chipped off. This before and after shows a still life antique oil painting that was damaged and dirty before Michael rescued and restored it.